Doors open at 6:45 p.m. Please arrive early to volunteer. Eastside CHADD is an all-volunteer group. We ask parents to invite their children's teachers, school nurses, counselors, and psychologists to our meetings. Many of our meetings are not only for those with ADHD, but also for those with ADHD and/or other learning challenges. Tuesday, November 20th: Hilarie Cash, Ph.D., "Understanding Screen Time"
Thursday, October 25th: Joel Nigg, Ph.D., "ADHD: A primer and update on lifestyle and alternative treatments"
Joel Nigg, Ph.D., will provide an orientation to what ADHD is and how to think about it. He will then summarize the controversy on genetic and environmental effects, and focus on emerging evidence for how lifestyle and alternative treatments can supplement standard treatments to maximize progress for you and your family. Q&A will follow. Dr. Nigg is a Professor in the OHSU Departments of Psychiatry and Behavioral Neuroscience and Director of the Division of Psychology in Psychiatry. He also serves as the Director of the ADHD Program, Oregon Health and Science University, Portland. Dr. Nigg authored the book, Getting Ahead of ADHD published by Guilford Press, 2017. We welcome Dr. Harlan Gephart who will bring us the latest need-to-know information about ADHD. Dr. Gephart, a very experienced developmental pediatrician who has evaluated, treated individuals, and provided support and education for those with ADHD in the greater Seattle area, speaks to us in our first meeting in our new space on Thursday, Sept. 20. Dr. Gephart is a UW School of Medicine Emeritus Clinical Professor. Dr. Gephart continues to train the next generation of pediatricians through the Reach Institute. We celebrate the publication of his new book about ADHD to be published this September. Dr. Gephart will speak about the comprehensive nature of ADHD and its effects upon so many aspects of life. Dr. Gephart will explain how he talks about ADHD to patients of different age groups and to their parents. He will also explain how parents can talk with their children at different points in development so that they really understand what ADHD is to enlist them in their own self-care. When parents understand ADHD, they are more able to effectively have a meaningful conversation with their kids to allow them to be good self-advocates and treatment partners with their doctors, their teachers, and their peers. Time: 6:45 p.m. to 9 p.m. This movie has something for ALL parents. We will also show a special short about waiting and executive function. Note that due to a scheduling conflict this meeting will be held the FIRST Tuesday of June. Tuesday, May 15th: Scott Raub, OSPI Special Ed Liaison: "Who Do You Call When You Need Help with Special Education Issues?" We welcome Scott Raub from the OSPI Special Education Department. He will explain how he helps families get access to meaningful service. Scott will cover the special education process from initial referral and Child Find to what happens beyond the referral. Please submit your questions in advance to eastside@chadd.net to help us plan our meeting time together. We will try to take questions at the meeting if time permits. Scott Raub is the Special Education Parent and Community Liaison for the State of Washington Office of Superintendent of Public Instruction (OSPI). He serves as a resource for information about the special education process to students, families, educators, and community members throughout the state. Scott has worked with students and families in education throughout his entire career. He earned his law degree from American University Washington College of Law and is a member of the California State Bar. He also has bachelor's degrees in political science and communication studies, and a master's degree in counseling psychology from the University of San Diego. He is originally from Southern California, an avid volleyball player, and proud father of two. Tuesday, April 17th: Olga Caffee, LMHCA, EdS: "Parenting Your ADHD Child"
We welcome Olga Caffee to Eastside CHADD to learn about positive ways to parent in those ADHD moments. Learn to think about using a positive, collaborative model to deal with those difficult situations. Olga is a licensed school psychologist, who also works with families in her private practice. She trained with Ross Greene to learn his collaborative approach. She also employs the Social Thinking Model in her work with families. Tuesday, March 20, 2018: Nina de Lacy, M.D. : "The Dynamic Brain - Leading Edge Approaches from Systems Neuroscience to Brain Functional Differences in ADHD, Autism and Neurodevelopmental Differences"
Nina de Lacy, Child and Adolescent Psychiatrist, presents her work which uses fMRI and other leading edge approaches to understand ADHD and Executive Function. She holds an academic appointment at the UW Department of Psychiatry and Behavioral Science. She serves as the Co-Director of the Developmental Neuropsychiatry Program in the Division of Neurodevelopmental Medicine at Seattle Childrens. Tuesday, February 20, 2018: Harlan Gephart, MD: What Every ADHD Student and Parent Needs to Know - How ADHD impacts someone throughout the lifespan, and what can we do about it! Join the conversation with Harlan Gephart, M.D., Developmental Pediatrician and UW School of Medicine Emeritus Clinical Professor, to learn about ADHD. Dr. Gephart brings his extensive expertise and experience in ADHD to address your questions. Not only has Dr. Gephart diagnosed and treated many with ADHD, he continues to train physicians through his work at the REACH Institute and abroad. Dr. Gephart, author of the soon-to-be published ÒADHD Complex,Ó will discuss how we can we help our ADHD children achieve emotional, academic, social, and vocational success. Join Dr. Zinner for an update on tics, Tourette syndrome, and ADHD. Tics occur in up to 1 in every 4 children at some point. For most, these tics will be a temporary "rite of passage" of childhood, but for many, their tics will persist. Among these children, tics usually will be one of several related problems that can interfere with learning, social interactions and general health. Dr. Zinner will explore the 100-year history of Tourette syndrome, what we now understand about how and why people have tics, and more important, why tics relate to ADHD and other challenges in behavior and brain-based development. He will answer questions about evaluation and management for tics and these co-occurring conditions. How do kids with tics deal with peers and teachers in the social environment? Samuel Zinner, MD is a Professor of Pediatrics at the University of Washington School of Medicine and a Developmental & Behavioral Pediatrician with the U.W. and Seattle Children's Hospital. His research and educational interests focus on tic disorders and their frequent cooccurring conditions, including challenges in neurological development and behavior. Dr. Zinner served on the Medical Advisory Board of the national Tourette Association for 15 years, and has been a frequent national and international speaker on the topic of Tourette syndrome and co-occurring conditions. Tuesday, November 21, 2017 - What Do I Do When My Child Needs Help Learning in School? Molly Baasch, Washington Education Association, explains how parents get help in school for their child with a disability. What programs exist in school and how do we access those programs? What is the difference between a 504 Plan and a Special Education IEP? How do schools help students who have trouble with emotional regulation and executive function? What if my child is getting Òhelp,Ó but is not making progress? Please join us to learn how we can collaborate with schools to help our children progress and thrive. Ms. Baasch coordinates WEA programs to train parents and teachers in special education law. Tuesday, October 17, 2017: How Does the ADA (Americans with Disabilities Act) Affect You in College and in the Workplace? Come learn what happens when those with disabilities such as ADHD, dyslexia, and other disabilities enter college and the workplace. How does college and the workplace differ from the K-12 system? Michael Richardson, Director of the Northwest ADA Center, will explain how the Americans with Disabilities Act (ADA) covers disclosure and accommodations related to employment situations. Should we disclose? When and how do we do so? Do we have the right to automatic accommodations or do we negotiate with employers once we are employed? Can we be fired? Michael will present an overview of disabilities/ADHD in employment and the job-seeking process and how the ADA provides you with rights and responsibilities. Mr. Richardson provides technical assistance, continuing education and technical consultation services related to compliance with accessibility provisions of the ADA. He deals with related federal and state requirements for professionals, businesses, state and local government agencies and consumers. Audience : Adults and Teens. This program is for teens preparing to enter college, college students, parents, those seeking a job or those with a job. Tuesday, September 19, 2017 - Sitting on the ADHD Fence - Christine Larson, M.D. Do you wonder if your child has ADHD? Could you have ADHD? What is ADHD? Why do we need to know how ADHD affects learning, work, life, and love? Christine Larson, M.D., FAAP, answers your questions at this informative meeting. Learn how we diagnose and treat ADHD, which affects both males and females. What can parents do to help their children develop positive, effective, life skills? Dr. Larson specializes in working with kids and parents in the Kirkland area. NOTE: We're meeting the SECOND Tuesday, rather than the third. We'll be having a year-end party for our final meeting of this school year until we meet on September 19th. Join us for an evening of laughter, suspense, and the unusual. Bring your family to this social event. Movie snacks and refreshments will be served. The animated movie, "Ernest and Celestine" will be a special treat for the entire family. 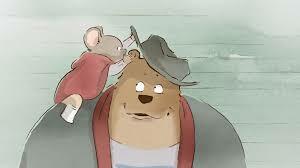 It is the story of the unlikely friendship between a bear, Ernest, and a young mouse named Celestine. The movie was nominated for an Oscar and won fifteen awards, including at the Cannes Film Festival. Although this is not a movie about ADHD, it celebrates the value of appreciating who we are and the importance of mutual friendship. Researchers in the field of Executive Function (EF) have identified the skills for successful learning and living. EF skills develop in early childhood. Learn the latest research findings so that you can help your child acquire these essential skills. EF is more than "doing and turning in homework." Understand how EF affects key academic skills in reading, writing, and math. Barbara Bennett, M.A., private practice Educational Therapist, specializes in teaching EF skills to students with ADHD, dyslexia, dysgraphia, and other learning disorders, so that each student learns "how to learn" and how to master academic skills. Ms. Bennett trained with key national figures in the fields of ADHD and learning disabilities. She continues to learn from up-to-date research and clinical practices. She also consults with teachers and clinicians to improve learning in the classroom and at home. Ms. Bennett collaborates with pediatricians and medical professionals to facilitate the early identification of learning, attention, and executive function challenges. Tuesday, April 18, 2017 - Why do We Test Individual Skills and Abilities? Julie Quamma, Ph.D., Associate Director of the UW Learn Clinic returns to explain the importance of individual testing to aid in learning, accommodations, and special education. She will discuss the cognitive and educational tests and what they measure. What role do questionnaires play in diagnosis of ADHD, anxiety, and depression? How do we assess memory, executive function, and processing speed? When should we seek an evaluation? David Stewart, MA, Vocational Rehabilitation Counselor, explains how the Division of Vocational Rehabilitation (DVR) can help those with disabilities find meaningful employment. Join us to learn how and when to qualify for these helpful programs to find work. David has worked in the field of rehabilitation for over 10 years and is now in his second year with Washington State Division of Vocational Rehabilitation (DVR). He earned his Bachelor of Arts in Psychology and a MasterÕs Degree in Rehabilitation Counseling, both from Western Washington University. David has experience working with individuals with a variety of disabilities in an array of environments. David values the importance of employment and is skilled at identifying an individualÕs vocational goal. He instills an attitude of empowerment, placing emphasis on an individualÕs strengths and abilities. He assesses barriers to employment so that his clients can reach their goals to get and to keep a job. This program is for teens, college students, young adults, and adults. Do you wonder if your child has ADHD? What is ADHD? Why do we need to know how ADHD affects learning, work, life, and love? Christine Larson, M.D., FAAP, answers your questions at this informative meeting. Learn how we diagnose and treat ADHD, which affects both males and females. What can parents do to help their children develop positive, effective, life skills? Dr. Larson specializes in working with kids and parents in the Kirkland area. Chris McCurry, Ph.D. returns to Eastside CHADD to help us understand the both ADHD and anxiety. This 90-minute presentation (plus 30 minutes for Q&A) describes the common origins of both ADHD and anxiety and what we, as parents and as clinicians, can do to help. Topics covered will include temperament, early psychosocial development, and the executive functions of the developing brain. Strategies for supporting and encouraging our children will be presented. Chris McCurry, Ph.D. is a husband, a father, and a clinical child psychologist in Seattle, Washington. He specializes in the diagnosis and treatment of childhood anxiety. He is the author of two books, one for parents and one for clinicians; Parenting Your Anxious Child with Mindfulness and Acceptance (2009) from New Harbinger Publications, and Working with Parents of Anxious Children: Therapeutic Strategies for Communication, Coping & Change (2015) from W.W. Norton. Tuesday, November 15, 2016 - "Life In Front of the Screen" Speaker - Hilarie Cash, Ph.D.
What is the lure of high tech devices? How do they affect child and teen brains? What role does screen time play in emotional regulation and social interactions? Dr. Cash, author of Video Games & Your Kids: How Parents Stay in Control, specializes in working with individuals who "need their screen" time. She was interviewed in the important movie, Screenagers, about the increasing need for parents and kids to set limits on screen time. This program is for parents, adults, and teens. Bring your questions. Tuesday, October 18, 2016 - Jyoti Mishra, Ph.D., University of California San Francisco - Technology and Learning: "Inventing Serious Games for Brighter Brains." Eastside CHADD's Oct. 18th special meeting features Dr. Mishra. Join us to hear her talk, "Inventing Serious Games for Brighter Brains." Kids and adults can learn immensely from game play. But today's commercial media, tech and games are not designed to enrich brains. Teams of neuroscientists along with clinical and industry partners are now leading efforts to innovate novel neurotechnologies that can be delivered as games, but are designed with the purpose to enhance brain and cognitive health and mental wellbeing. Dr. Jyoti Mishra will describe her research in this domain, especially for children with attention deficit disorder. Dr. Mishra grew up in New Delhi, India and was introduced to research in the neurosciences during her MasterÕs training at the National Center for Biological Sciences (NCBS). It was love at first sight and no looking elsewhere from that moment on. In 2008, she obtained her Ph.D. in Computational Neurobiology from UC San Diego under the mentorship of Dr. Steven Hillyard and Dr. Terry Sejnowski. She then moved to San Francisco in 2009 for a unique joint post-doctoral training opportunity bridging industry and academia between the Gazzaley lab & the Brain Plasticity Institute (BPI) at PositScience. She is now Assistant Professor in the departments of Neurology and Psychiatry. Maria Kelley, OTR/L, UW Assistive Technology Specialist, presents which technology works for students with different needs. Students who use assitive technology(AT) or should use technology are invited to attend this meeting. Tuesday, June 21, 2016 - Party and Video Night: "ADD and Loving It"
"ADD and Loving It" will be presented at our June 21st meeting, 6:30 to 9 p.m. This Canadian video features key researchers and clinicians in both Canada and the U.S. This video is worth watching because of the solid information to understand ADHD as we watch a well-known comedian go through the process of diagnosis and treatment. Not only is this video informative, it is filled with humor and insight. Bring your family to watch with you. We will also have our silent auction of books on ADHD at 6:30 and then welcome summer with a party. Bring cash or check if you want to bid. Tuesday, May 17, 2016 - Thinking about Dyslexia - Decoding to Comprehension. Barbara Bennett, M.A., Educational Therapist, Educational Consultant, ADHD Coach, brings us the latest evidence-based information about best practices for reading intervention for dyslexia. Ms. Bennett began her professional life in the dyslexia field at the Pediatric Reading and Language Development Clinic, University of California, San Francisco. As a private practice educational therapist, her life-long passion to teach students how to think, read, write, and do math from pre-school through adulthood is based upon the scientific and the clinical advances in understanding dyslexia. Tonight's conversation will address the "why" and "what" of reading assessments to guide effective intervention strategies. Learn about the interplay between ADHD, anxiety, executive function, language, and social thinking skills as they impact dyslexia remediation. What role does imagination play in creating skilled readers? Tuesday, April 19, 2016 - Everything you need to know about ADHD but are afraid to ask. Harlan Gephart, M.D., Emeritus Clinical Professor of Pediatrics, Univ. of Washington School of Medicine, explains ADHD. Dr. Gephart trains pediatricians across the country to help children and their parents understand ADHD. What is ADHD? How do we diagnose and treat ADHD? Bring your questions so you can help your children, their teachers, and you effectively work with these challenging conditions. Part 2 - March 15th. Doors open at 6:15 p.m. Please arrive early to volunteer. Eastside CHADD is an all-volunteer group. The presentation will begin promptly at 6:45. * Procedural due process, and Discipline. Tuesday, January 19: Special Education Law Class - Enrollment limited. Register at eastside@CHADD.net. Include name, e-mail, and phone number. This class is designed to respond to the questions generated by the participants. Our goal is to ensure that everyone has the information they need to understand and to navigate the Special Education process. Strong friendships and social connections are among the most important factors that influence our happiness and well-being. At the same time, the social world that teens and young adults inhabit is complex, rapidly changing, and often hard to navigate, especially when difficulty with attention and impulsivity are in the mix. What can teens and young adults do to skillfully build and maintain social connections? How can they reduce teasing, bullying, and arguments? What about using humor effectively? Or just having a good conversation that promotes friendship? Dr. Andrew Fleming will lead an interactive presentation of key skills from the PEERS program, an evidence-based social skills training program focused on making and keeping friends, especially for individuals with ADHD, autism spectrum disorders, and other similar concerns. The presentation will include handouts with concrete steps for these skills, as well as plenty of recommendations for books and other resources on the subject. Dr. Fleming is a clinical psychologist, founder of The Seattle Clinic, and a member of the clinical faculty at the University of Washington. Dr. Fleming completed his doctoral study in child clinical psychology at the University of Washington, his internship in child & adolescent psychology at the UCLA Medical Center, and fellowship at the UW School of Medicine Department of Psychiatry & Behavioral Sciences. His research focuses on improving interventions for teens, young adults, and families affected by ADHD, autism spectrum disorders, eating disorders, and suicidal behavior. Dr. Fleming completed a specialty rotation with Dr. Elizabeth Laugeson, creator of the PEERS program, and is a certified PEERS clinician. Tuesday, October 20: Michael Richardson: How Does the ADA (Americans with Disabilities Act) Affect You in College and in the Workplace? This year's 25th anniversary of the Americans with Disability Act is a time for reflection and celebration. This talk is the follow-up program to our September K-12 504 program. The presentation is recommended for those already in internships or the workplace, but who need to know how they can and should access the on-the-job accommodations that they need. Mr. Richardson will explain accommodations for those who are in college, internships, and/or the workplace as well as for those who will enter college, internships, and the workplace. Teens should attend so that they can begin to prepare now for accommodations post-high school. What happens when those with disabilities such as ADHD, dyslexia, and other disabilities enter the workplace? How does the workplace differ from the K-12 system? Michael Richardson, Director of the Northwest ADA Center, will explain how the Americans with Disabilities Act (ADA) covers disclosure and accommodations related to employment situations. Should we disclose? Do we have the right to automatic accommodations or do we negotiate with employers once we are employed? Michael will present an overview of disabilities/ADHD in employment and the job-seeking process and how the ADA provides you with rights and responsibilities. This presentation will provide a step-by-step overview of Section 504, from how schools determine eligibility to developing accommodations for students with disabilities. The presentation will share important strategies for working with Section 504 teams, including strategies for developing and implementing Section 504 plans, and information for tackling challenging Section 504 issues, such as health plans and extracurricular activities. Ms. Sullivan will also share helpful tips to navigate resources to advocate for your student. Teens are encouraged to attend. MALLORY SULLIVAN is a Program Supervisor in the Equity & Civil Rights Office at the Office of Superintendent of Public Instruction (OSPI). The Equity & Civil Rights office promotes equal access, academic inclusion, and full educational participation in Washington public schools. Ms. Sullivan provides assistance to parents, students, and school employees to resolve allegations of discrimination, conducts civil rights trainings, and monitors school districts to ensure that their policies, procedures, and practices do not result in discrimination. Before joining OSPI, she worked as an attorney with Seattle-based law firm where her practice focused on school law, including civil rights compliance and litigation. She attended University of Washington and University of Washington School of Law. Eastside CHADD presents a special evening to bring you important information about the progress of the McCleary decision. ALL Washington students are impacted by this WA Supreme Court decision. Will the state legislature fully fund our schools by the time we meet? If so, what does that money mean to me and my children? If the legislature does not fully fund our schools, how will that affect my children's education? Education is the paramount duty of the state. Learn how our state lawmakers are addressing the lack of ample and stable funding for education, what the Supreme Court is doing to monitor the progress, and what it all means for your child. Tuesday, May 19: Barbara Bennett, M.A. - How to Understand, Teach, and Parent Capable Kids Who Process Slowly. Learn why "smart enough" kids take so long to get so little done. How do slow processing speeds affect learning and accomplishment at school, home, socially, and later on the job? Slower processing speeds are linked with ADHD, dyslexia, dysgraphia, and other learning disorders. Are there effective strategies to reduce conflicts when your slow processing child is out of synch with the demands of a fast-paced world? What can parents and teachers do to increase output? Join Barbara Bennett, M.A., Educational Therapist, Educational Consultant, and ADHD Coach to help those with slow processing speeds succeed more effectively. Dr. McCurry discusses every day strategies for neutralizing our children's worries and anxieties. Maria Kelley, OTR/L, UW Assistive Technology Specialist, presents which technology works for students with different needs. She will also discuss the pros and cons of learning via the net or on-line. Students who use technology are invited to attend this meeting. Tuesday, February 17: "How to Prepare for College Before You Go"
Join college disability support directors and staff to Learn How to Prepare for College BEFORE the First Day of Class. How does college differ from the K-12 educational system? What can students learn now to prepare for the independent college learning environment? How do I qualify for support services at the college level? What support services are available in college? Join Bree Callahan, UW Support Services Director, Al Souma, Counselor, Seattle Central College, Nina Parker-Cohen, Ph.D., Licensed Clinical Psychologist and UW Learning Specialist, and moderator Barbara Bennett, M.A., Educational Therapist, in this interactive presentation to prepare for success after high school. Teens are encouraged to attend this important meeting. Tuesday, January 20: Preetam Bandla, M.D., "Sleep and ADHD"
Dr. Bandla, Pediatric Sleep specialist, returns to explain the latest science about sleep and ADHD. Why is sleep important for our bodies, attention,mood, and learning. How does technology affect the brain? Tuesday, October 21: Pat Steinburg - "How Common Core Standards Affect Your Child"
Pat Steinburg returns to Eastside CHADD to begin the school year with the latest information about the significant curriculum changes in your local district and WA state. This program is a "must attend" for every parent who now has children in schools or who has children who will soon enter our schools. We invite teachers and school staff to join us to learn about Common Core in the classroom. Pat is very familiar with WA State OSPI standards with her expertise as a Special Education Law Cadre trainer. Ms. Steinburg will provide background information on the Common Core Standards, including who wrote them and why. In addition, the potential positive and negative effects of the Common Core on students with disabilities will be discussed. Tuesday, November 18: Dee Vixie, pediatric nurse and parent, leads a discussion of the video Winning at Parenting. Barbara Coloroso, a national CHADD presenter, in this video, explains how parents can teach their kids to think, then act. Tuesday, September 16: Dr. Harlan Gephart - "Pediatric Tips to Empower Parents to Understand and to Advocate for their ADHD Child"
Meet pediatrician Dr. Harlan Gephart, who brings us the latest knowledge on ADHD, so that we can be informed about how to best help ourselves and our children. Dr. Gephart, with his many years of diagnosing and treating those with ADHD, presents tips on how to advocate for ADHD children in the school setting. School is a complex experience which can challenge ADHD children and their parents. Is there more to ADHD than diagnosis and medical treatment? How do we work with schools to understand and address the many needs that accompany ADHD? Is medication enough to help ADHD kids thrive in school? What if kids are not on medication? Why and when do parents seek a 504 or an IEP? Eastside CHADD celebrates ADHD Awareness Month early with Dr, Harlan Gephart who has pioneered a whole child approach to treating ADHD in the Seattle region. Tuesday, May 20: Dr. Marshall Raskind - Life Success for Students with Learning Disabilities: What Does the Research Say? While acknowledging the importance of "school success," it is critical not to discount the broader notion of "life success". Drawing from his own 20-year study that traced the lives of children with learning disabilities from childhood into adulthood, Dr. Marshall Raskind will discuss the factors predictive of positive life outcomes. He will also present a conceptual model for fostering these "success attributes" in youth with learning disabilities. Dr. Marshall Raskind, an educational researcher and consultant, is the former Director of Research and Special Projects at the Charles and Helen Schwab Foundation in San Francisco. He served as Director of Research at the Frostig Center in Pasadena, California. He headed the California State University, Northridge Learning Disability Program and Computer Access Lab. He has served as consulting editor to the Journal of Learning Disabilities, Learning Disability Quarterly, Annals of Dyslexia, Journal of Special Education Technology, and Intervention in School and Clinic. Dr. Raskind is a Fellow and past Vice President of the International Academy for Research in Learning Disabilities, as well as a former member of the Research Committee of the Council for Learning Disabilities, and the Professional Advisory Board of the National Center for Learning Disabilities. His research interests are in the areas of learning disabilities across the lifespan, factors predictive of "life success," assistive technology, and most recently, the impact of online social networking on children with learning and attention problems. Barbara Bennett, M.A., discusses the latest, evidence-based information about executive function from key researchers in the fields of learning disabilities and ADHD. What is executive function? How does the presence or absence of key elements of executive function facilitate or hinder learning for students who bring learning challenges to the classroom? How can implementing executive function theory help our students with ADHD, dyslexia, dysgraphia, math, and oral and written language disabilities? How will the increased academic demands of common core impact these students? Barbara Bennett, M.A., is a private practice Educational Therapist, Educational Consultant, and ADHD Coach. Ms. Bennett trained with key national figures in the fields of ADHD and learning disabilities. She continues to learn from up-to-date research and clinical practices. She will share her extensive knowledge of theory and its application to real-life in her many years of teaching students to become independent, skilled individuals. She also consults with teachers and clinicians to improve learning in the classroom and at home. Ms. Bennett collaborates with pediatricians and medical professionals to facilitate the early identification of learning, attention, and executive function challenges. Tuesday, March 18: Dr. Jessica Horsfall - Demystifying Neuropsychological and Educational Assessment: What do the test results mean for your child? Demystifying Neuropsychological and Educational Assessment: What do the test results mean for your child? Learn how processing, memory, and language difficulties impact your child's learning. Dr. Horsfall is a clinical neuropsychologist who specializes in the comprehensive neuropsychological assessment of learning disorders, ADHD/ADD, neurodevelopmental disorders, and neurological disorders and syndromes (epilepsy, memory disorders, brain injury/concussion, and brain tumors). Dr. Horsfall recently relocated to Washington from California where she was an Assistant Professor and Director of Clinical Services at the UCLA Medical Psychology Assessment Center (MPAC) at the Institute for Neuroscience and Human Behavior. At UCLA she was responsible for the training of all interns and postdoctoral fellows in the neuropsychology program and was the primary neuropsychologist for the neuro-rehabilitation, neurosurgery, and epilepsy services. Dr. Horsfall received her undergraduate and graduate degrees from Yale University and Pacific Graduate School of Psychology and completed a 3-year postdoctoral fellowship in neuropsychology at UCLA. Dr. Horsfall currently practices in Bellevue, WA. Tuesday, February 18: Michael Richardson - What is the Americans with Disability Act and How Does it Affect Those with ADHD? Teens: Important information for High School Students. What happens when those with disabilities such as ADHD enter the workplace? How does the workplace differ from the K-12 system? Michael Richardson, of the Northwest ADA Center, will explain how the Americans with Disabilities Act (ADA) covers disclosure and accommodations related to employment situations. Should we disclose? Do we have the right to automatic accommodations or do we negotiate with employers once we are employed? Michael will present an overview of disabilities/ADHD in employment and the job-seeking process and how the ADA provides you with rights and responsibilities. Michael Richardson is the Co-director of the NW ADA Center in Mountlake Terrace, WA. He provides technical assistance, continuing education and technical consultation services related to compliance of facility and public rights-of-way with accessibility provisions of the ADA and other related federal and state requirements for professionals, businesses, state and local government agencies and consumers. Tuesday, January 21: Mark Stein, Ph.D. - ADHD Parents Parenting Their ADHD Children. Mark A. Stein, Ph.D., will talk about ADHD in parents and its effects on child ADHD and treatment. He will also review innovations in ADHD treatment along with recent research findings on ADHD medications. New to the Northwest, Dr. Stein will be developing innovative clinical programs for ADHD throughout the lifespan as director of the PEARL Clinic at Seattle ChildrenÕs Hospital and as a Professor of Psychiatry at University of Washington. He was previously Professor of Psychiatry and Pediatrics at University of Illinois at Chicago, University of Chicago, and George Washington University. An active clinician and researcher specializing in ADHD in children, adolescents, and adults for over 30 years, Dr. Stein has written over 90 scientific articles, and co-edited the text book, Attention Deficits and Hyperactivity in Children and Adults (Marcel Dekker, 1999). He has researched personalized ADHD treatment, sleep problems, and genetics. Dr. Stein and colleagues identified the first replicated susceptibility gene for ADHD in 1995. He has helped develop numerous ADHD medications such as Concerta and Atomoxetine. He currently researches pharmacogenetics, treatment of mothers with ADHD, sleep, and side effects of ADHD medications. Thursday, Dec. 12th from 7 to 9 p.m Eastside CHADD presents a special "How to" Q&A Meeting to learn options for resolving Special Ed./504 problems. Eastside CHADD has invited Pat Steinburg to spend the evening responding to your questions regarding special education and Section 504. Pat has many years of experience as a trainer on special education law, IEP development and Section 504. She has trained many parents and teachers to learn about Special Education Law in Washington. If you have questions about initiating special education, monitoring your child's plans, or what to do if the plans do not work, then this special December meeting is for you. Dr. Harlan Gephart, noted national expert who trains pediatricians in the diagnosis and effective management of ADHD, will explain what parents, their children, and teachers need to know about ADHD. He will explain the new diagnostic criteria for ADHD. Dr. Gephart will share his extensive expertise about ADHD to help us understand how to develop a comprehensive approach to treating this multi-faceted condition. Please note that Dr. Gephart will also talk about ADHD in adults. Barbara Bennett, M.A., Educational Therapist,/Educational Consultant, ADHD Coach, will present a brief summary of the International Dyslexia Association International Meeting Sessions on Executive Function. Tuesday, October 15: Panel Discussion - What to Know Before You Go. How to Prepare for College Success Now. Our panel of experts will prepare you and your teens to get ready for college. What skills and habits do students need to develop before they leave high school? How do parents prepare their teens to learn how to work independently? How does college differ from high school? What do we need to know when we have the opportunity and time to prepare in advance? What promise does the Common Core Curriculum offer to change the current statistic that 75% of incoming community college students must take remedial education courses? Join Bree Callahan, UW Student Services Director; Al Souma, Disability Support Services Director, Seattle Central College; Kim Thompson, MSW, Disability Services Director, Shoreline Community College; Pat Steinburg, MA, Speech and Language Pathologist, and Panel Moderator, Barbara Bennett, M.A., Educational Therapist/Educational Consultant/ADHD Coach. Tuesday, September 17: Chris McCurry, Ph.D, Psychologist - Zest and Marshmallows: Preparing Our Children for Success in the World. Being smart helps, but it takes more! This talk will describe recent, and not so recent, ideas about what makes for success in academics and in life. Parents and teachers will learn how to identify and encourage practical life skills and habits all kids need to succeed. Tuesday, June 18: Barbara Bennett, M.A., Educational Therapist/Educational Consultant - Video Night: ADHD Teens and Their Teachers. Barbara Bennett, M.A., shows an engaging, thought-provoking video, which was presented at the 2012 CHADD National Conference. In the video, teens with ADHD and their teachers demonstrate what does and doesn't work for school success. 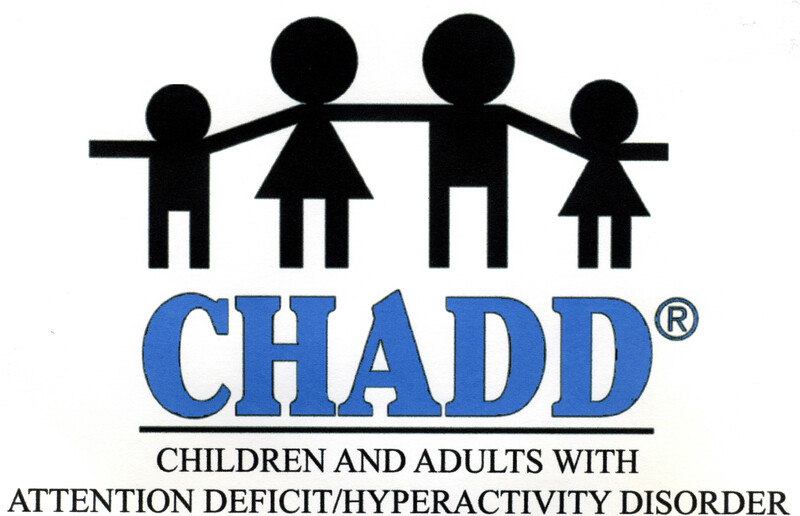 Join us for an update on the latest ADHD research featured at CHADD's conference. Tuesday, April 16: Preetam Bandla, M.D. - Sleep and ADHD, Sleep Hygiene and Technology Do's and Don'ts in re: Sleep. Dr. Bandla will explain how sleep disorders can mimic or exaggerate the symptoms of ADHD. He will tell us why we need a good nightÕs sleep and how to get one. We will learn how ÒscreentimeÓ affects sleep. Tuesday, February 19: Kim Thompson, Shoreline - Is There Life After High School? Bring your teens to this meeting. Kim Thompson M.S.W., Director of Special Services at Shoreline Community College, talks about the difference between services provided in high school and college for students with learning disabilities and ADHD. Her presentation will include an overview of the law as well as essential information for preparing students for success as they transition from the K-12 system to Higher Education. Parents are encouraged to bring their students in grades 9 through 12 to this important presentation. Our speaker at the November CHADD meeting will be Dr. Harlan Gephart, Clinical Professor of Pediatrics at the University of Washington, and Consultant in Behavioral Pediatrics at Pediatric Associates, Bellevue, Washington. Dr. Gephart trained in Pediatrics at the University of Washington, and practiced both General and Behavioral Pediatrics at Group Health Cooperative. From 1990 to 2002 he was Medical Director of the Center for Attentional Deficit Disorders in Redmond, Washington. During that period he assessed and treated several thousand children with ADHD. The parenting behavioral program developed in that clinic became a national model for that treatment modality in ADHD patients. Research publications from the clinic studied the cost of ADHD, Coexistent Mental Health concerns in ADHD, and Behavior Modification treatment. Dr. Gephart has lectured nationally and internationally to physician groups on ADHD and is the author of numerous medical articles on ADHD and its ramifications. His current emphasis is in teaching physicians to screen for, recognize, and treat such coexistent conditions as anxiety and depression, which commonly are secondary complications in ADHD patients. The talk will emphasize practical suggestions for parents in how to monitor their child's mental health, with ample time for questions. Tuesday, September 18: Chris McCurry, PhD. : Schoolwork, with Feeling: The Role of Emotions in Academic Achievement. Although much has been learned in the past 20 years about how executive function can affect learning and achievement, the important role of emotions in motivation, attention, and decision making has been neglected. Learn about the complex interplay between attention, emotion and conflicting motivations, about important brain activity churning away below the level of awareness, and how this knowledge can help to improve the daily lives of our students. Tuesday, May 15: Dr. Ted Mandelkorn presents his annual update on ADHD. Whether you are new to ADHD or have been living with it for some time, this is one presentation you donÕt want to miss. Dr. Mandelkorn will not only cover the basics of diagnosis and treatment, he will also bring us up to date information about current brain research, promising practices or the development of new medications that may be on the horizon. Having navigated a lifetime of living with ADHD himself, he brings a personal perspective of humor and insight to dealing with the daily frustrations and challenges associated with this condition. Tuesday, March 20: Kim Thompson: Is There Life After High School? Tuesday, January 31: Jeannette Cohen, Esq., presents an overview of Special Education Law: What is the difference between an IEP and a 504? What services can your child with ADHD or LD qualify for and how do you go about initiating services? Jeannette Cohen will guide you through the process from the initial request to what provisions you can expect from each type of plan. Years of experience as a special education teacher, tutor and advocate have provided her with unique insight into the perspective of the schools and what parents need to do to secure services for their child. Get all of your questions answered about this often intimidating process. November 15th: Dr. Harlan Gephart: Hope for the Future. What steps can parents take to promote a positive future for their ADHD children? Challenging behaviors today may well prove to be assets in adult life. Learn how to recognize and promote the positive strengths of your child. Sept 20th: Roadblocks to Academic Achievement, Chris McCurry, Ph.D. will present current views on academic achievement based on recent scientific research. He will describe "Executive Skills" necessary for school success and how parents can support executive functioning during development of those skills. He will also discuss beliefs and emotions that can impact achievement. CHADD does not endorse or represent any product, service, publication, medication or treatment. We welcome the public to attend our meetings to learn about ADHD from professionals who treat ADHD. 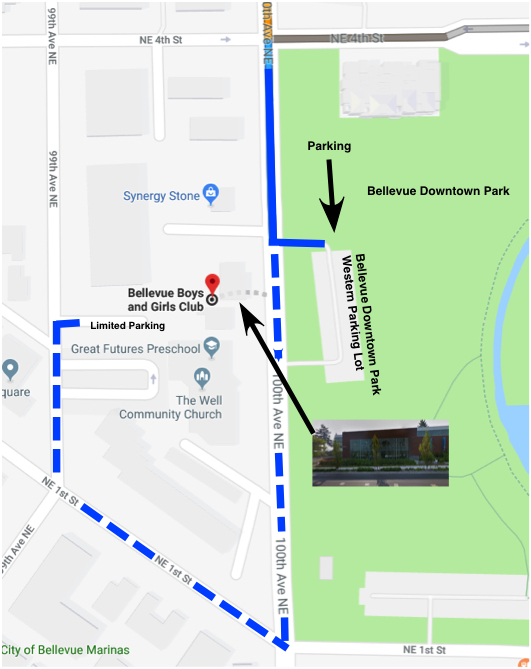 We ask for a small donation to help defray meeting costs. CHADD membership includes free meeting attendance for current members. CHADD Membership is strongly encouraged, since Eastside receives a portion of your dues so that we can continue to bring these programs to you.